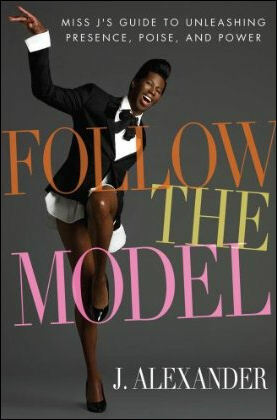 Description: “Follow the Model, Miss J’s Guide to Unleashing Presence, Poise and Power” by J Alexander book launch. Not everyone is born to be a supermodel, but every woman can acquire confidence, self-esteem, and the determination to realize her dreams. From being comfortable in your own body to the decisive power of one\’s attitude to how to walk proud in the highest heel shoes, FOLLOW THE MODEL offers tough love with a lot of heart from a truly one-of-a-kind mentor. this is for j.alexanda , i have a friend that loves to model. i’am trying to help push her into the right direction i don’t know anything about modeling. you can see her at myspace.com kristenrae myers.thanks for reading this noel..
hello. i am a big fan and love your work, i am male and live i Scotland but i would love to model but there isn’t anything available in Scotland or for young hopeful hight fashion male models like myself! please help my dilemma!